I am lucky enough to volunteer beside singer-songwriter and founder of the Mango Hill & North Lakes Environmental Group, Dave Norman. Over the years, Dave has been heavily involved in the fight for Australia's natural environment and native wildlife. His environmentally themed songs have been used for a number of campaigns, including an exhibition at the Port Macquarie Koala Hospital and Jane Goodall's Day for Dingoes. He has dedicated much of his spare time to attending environmental meeting such as the National Koala Conference and regularly performs at community events such as Wild Koala Day. He has also been working on incorporating his new EP into schools and education programs in order to create awareness for Australia's native animals. 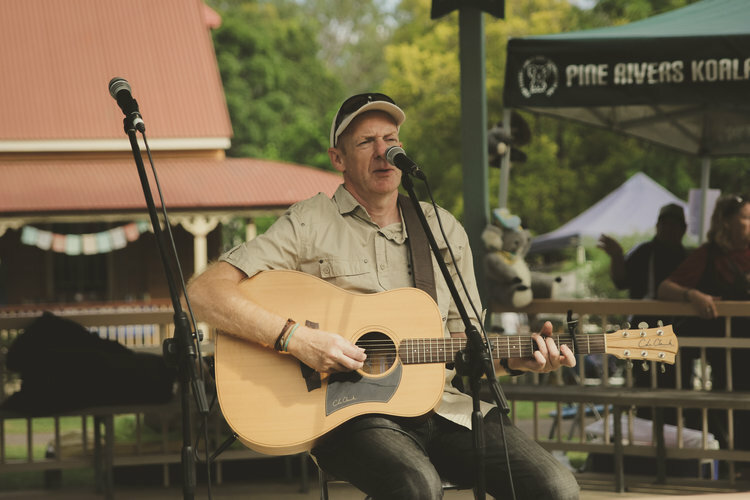 "I PLAY ENVIRO-FOLK; SONGS ABOUT THE LOCAL WILDLIFE AND ENVIRONMENT SEEM TO BE A GREAT WAY TO GET THE MESSAGE ACROSS TO EVERYONE"
You can check out Dave's songs on Bandcamp and triple j's unearthed as well as Mango Hill & North Lakes Environmental Group on our Facebook page!